One technology that I believe is increasingly useful in open education is Google hangouts. Hangouts provide free video conferencing though it only allows 10 video participants, each of whom is required to install the chat plugin from Google; the chat/text hangout allows 100 participants. The video hangout, however, can be streamed to YouTube and chat enabled there too which can therefore enlarge the scope for greater numbers. It is possible to share documents and screens, so it can be a good environment for working on collaborative projects at a distance as well as hosting discussions, viewing demos etc. Google ran their own education conference season and it provides an interesting example of what might be possible in the future: https://sites.google.com/site/eduonair/home. It is important for open education because it is free and yet, with minimum technical requirements, can enable anyone to create a learning experience. This is DS106 v. an iversity course also called digital storytelling. This blog was supposed to be comparing one of the original xMOOC platforms with DS106, but instead I decided to compare an equivalent platform offering a similar subject. I was more interested in the treatment of the subject and pedagogy being the main focus of the comparison rather than the technology, but nevertheless…. DS106 is built using a WordPress (WP) content management system (CMS). Highly modular with lots of addons available, WP allows anyone with a modicum of web development experience to build as complicated a network of websites as they want. And DS106 has become a pretty deep website, with many offshoots and choices for visitors (including a link for teachers who want to use the resources as an OER source for their own courses). iversity is a MOOC platform built specifically for this purpose and generally mirrors others like Udacity, FutureLearn and Coursera. The major difference is that this one was built in, and operates from, Germany, though it still uses English as its language. Another major difference is that iversity offers academic credit in the form of European credit transfer (ECTS) where as DS106 does not, in the traditional sense of the word. iversity courses appear to be led by Professors, only, though there are seven people in the storyMOOC team and twelve visiting guest lecturers. This even differs from many of the other xMOOCs. But now at least we are getting closer to looking at the teaching. DS106 is designed as a way to enable students to learn about digital storytelling by reading/watching/listening to background material and then telling stories digitally. They set their own assignments, they choose their own methods and there doesn’t appear to be anyone in charge, in fact one of the original pathways is even called “headless DS106”. The only thing that we know for certain is that the idea originated at the University of Mary Washington and was created by Jim Groom, after that it appears to have taken on a life of its own. An ongoing environment that continues to grow within a structure without dates and times “The Open DS106“. This course has become the standard bearer for a connectivist approach to teaching online. This is because it relies on the connections between and experience of the people undertaking the course itself in order to progress the students. Both courses have a curriculum: DS106 has 12 Units (open ended), iversity has 8 chapters (based on weeks of study). 8: Telling Stories Within the Web – the role of tools, interfaces and information architectures in current storytelling. The major superficial difference between these two curricula are that one appears to be more embedded in an academic framework, in particular it is using academic language to convey what might arguably, be pretty similar material. But there is little doubt that ds106 is all about doing, producing, experimenting and learning that way. iversity requires listening and watching the experts telling the students about the subject. iversity also broadcasts via Facebook and also had a twitter feed which attracted 323 followers. DS106 seems to have completely avoided Facebook but has several hashtag feeds, each focussing on a different aspect of the module (making a numerical comparison a little more difficult). Perhaps this is because it is not person centric so therefore there is no one leader to follow. @dsradio has over 500 followers, @ds106 a couple of hundred and @ds106dc nearly 700. The general approach and philosophy of ds106 seems to really have a life of its own, it is revelling in creativity and that creativity is exemplified by its own approach to teaching, assessment (peer) and openness. There is little doubt that iversity’s storyMOOC is also celebrating creativity, but its approach is steeped in its own appraisal of that creativity, this contrasts strongly with the overwhelming sense of joy that participants in ds106 appear to be experiencing. This surely is what learning should be about? in which George Siemens and Dave Cormier are interviewed by Martin Weller, about a range of issues concerning MOOCs. The basis of thinking about MOOCs are not necessarily to criticise the idea of MOOCs from a personal, or first world, perspective, as it seems many do, but instead to take the approach that if Universities around the world really are willing to publish courses open to students from everywhere then just this should be celebrated. One of the major issues is the perception that a business model has to be attached to the MOOC. It seems, to the speakers, that as soon as this happens the MOOC loses its focus and purpose. The technology and presentational methods of MOOCS need to continue to be innovated; it is not enough to throw another MOOC onto Coursera (or anywhere else) and consider the job done. (They all pointed to DS106 as an example of where this didn’t occur). Burn out of staff delivering the course. Interesting idea that as staff energy flags, so does student participation and this can be mapped! They talk about around twenty people being an optimum number for a massive course. My experience certainly is that the Moodle MOOC I attended which had at least 10 people working solidly during the MOOCs window, was more successful than those where there was only one or two visible “leaders”. Split between “elite” universities (in the US) who are keen to explore the potential of MOOCs (and are able to do so financially) and smaller universities who don’t have the same kind of resources. But perhaps the criticisms that MOOCs are unable (currently) to help students with complex learning needs, though less visible, are more important. Though MOOCs could be innovative, they also can be seen as packaging over content. The format itself has many issues that are yet to be resolved. Dramatic change is imminent :), so say various government think tanks. Even though many don’t complete the courses on offer this doesn’t mean that they are not positive about their experiences. Nevertheless there is little data to support this. Two biggies, sustainability and accreditation are both high on universities priority list for MOOCs and therefore these issues will be solved one way or another. I have been exploring the OER Research Hub’s impact map and based on the results (though there are not many participants yet) explored the issue of widening participation more deeply. 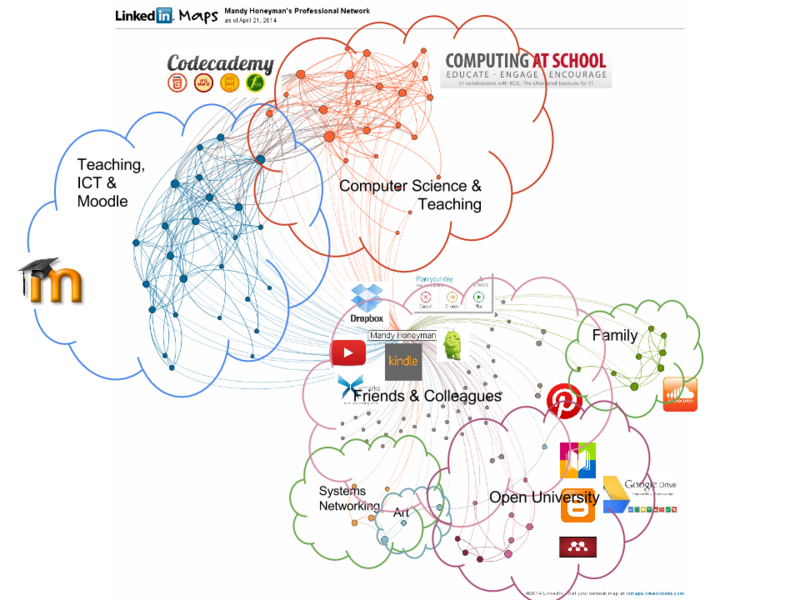 The impact map for Access is representing evidence gathered about the hypothesis that OER will widen participation in education. Without any evidence presented from K12 and most of the evidence originating from the USA, it would appear that there is more evidence to support the idea that access is not widened nevertheless there is a slight skew towards more broad access in higher education and at colleges but less in informal. In the HEFCE survey 55% of people who work with OERs found increased access for learners to be of most significance. As Emma Blake (2014) points out there is also a dearth of evidence from other regions than the first world. However, the Open Educational Resources Survey from Unesco (2012) shows promising responses from developing regions and also shows that OER activity is spread across the different educational sectors. This same Unesco report also highlights the need for policies and funding to help support the establishment of OER. And here the impact map demonstrates clearly that once an OER policy is adopted then this bring financial benefits to institutions and student, particularly the open textbook movement. Where countries report that they do not have a policy, this is not necessarily the end of the story because many are in the process of creating one. The third issue I want to address is that concerned with digital literacies, it seems from the review that although digital skills are improving amongst staff, when combined with the need for students to cooperate in the production of OER things get a little trickier. So perhaps although students are engaged with OER they are not necessarily getting the best out of them. It seems as though sometimes we forget that in the fast paced technological era there are some things that always do take time. The impact map is a little disappointing in terms of the results that it displays, but this is due to the voluntary nature of how evidence is included but also that it depends on individuals proposing the evidence. This could certainly skew the perception of the information that it delivers. It is my experience in K12 that making a change and assessing its impact takes many years, for example, were I to propose a digital reading list to year 7’s the interesting result (their English GCSE results) would take five years to come through. Sustainability – many OER projects have received initial funding from organisations such as the Hewlett Foundation. How sustainable are they after the funding stops? 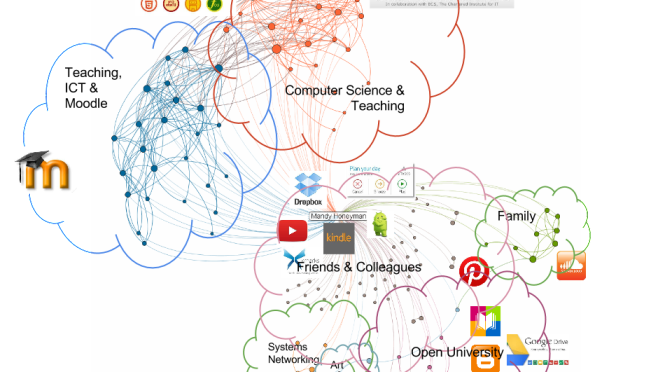 Pedagogy – are different ways of teaching required to make effective use of open education? Barriers to uptake – what prevents individuals or institutions from either using or engaging with open education? Learner support – how can learners best be supported in these open models? Technology – what technologies are best suited to open approaches? Quality – how can we assure the quality of open educational content? Rights – how do we protect the intellectual property of individuals while encouraging wide distribution? Learner support, primarily because although many people start open education courses, particularly MOOCs, far fewer finish. The make-up of the student body, i.e. people in the field of education and already well-educated, is also indicative that these initiatives are not reaching their intended audience. Pedagogy, it is only logical that in order to enable a system of open education, the method of teaching will have to change significantly. Is it enough to simply provide materials, some resources, a few computer quizzes and the occasional forum? Plainly not. But if not then what? Barriers to uptake, this would go well with my first choice, partly because these are two sides of the same coin. My experience with open education. This presentation isn’t really my experience of open education, though a couple of the things Wiley said struck a chord. “If you don’t want to share, why teach?” That was a good one, and another “Successful educators share most thoroughly with the most students“. But I put this here just to get me started…. I, like one of my fellow MAODE students also first came across the concept of open as in open source software when I was studying at the Open University. I also was able to take advantage of the OU’s definition of open education, as in open entry, by completing my own Bachelors degree there, something I would have been unlikely to be able to do at any other university because of my dreadful A Level grades. Now as a tutor at the OU that open entry is something we continuously struggle with on level one courses. Students start out unprepared for university level study and yet when that one student succeeds, surpasses their own expectations and is able to progress with confidence onto higher levels it makes up for those who really can’t. As a teacher I always used other teacher’s resources and also helped to establish a Moodle based website where whole courses could be freely exchanged, shared and updated. But this falls squarely into Open Education Resources (OERs) rather than open education. I see the OU as being the pioneer to allowing anyone access to education, provided they could find a way to pay for it, but that the definition of open education has changed more towards the idea of open as in free. But only free access to the resources, perhaps to a course structure, and if organised well, then also access to other students. A stumbling block is the notion of how a student feels successful, is it through assessment, certification, badgification? I was very interested in the one laptop per child project and this felt to me like a project that had the potential to really change access to digital resources for the people who needed it the most. It was disappointing to discover that small use of this project wouldn’t work, my school wanted to buy a set, and server etc, for our link school in South Africa but couldn’t. The purchase was restricted to numbers over 12000 and this meant that it was governments who had to buy in. That ended up not feeling very open. Wiley talks about people giving of their time in open education. I am trying hard not to see the irony of a professor on a six figure salary (just guessing) talking of teachers giving their time. Over the last couple of years I have taken part in a few MOOCs and completed one. I also use resources shared under the creative commons licence in my studying and in my teaching. Trying to choose and evaluate a specific technology – as a group! The learning outcome for this week 4 of H817 was to be able to evaluate a learning innovation. It is now Thursday evening and I have learnt a lot but nothing to do with the intended outcome. However,I do want to get something out of this frustrating experience and the thing that occurs to me is that I would like to break down the activity and try to understand why this went so terribly wrong. The forum is organised as FIFO (first in first out), by default, this means that anyone starting to read will read from the top down. If they get at all distracted by, for example a link along the way, it is likely they won’t make it to the bottom, even if that is where the correction is. But also that correction might not be placed next to the message that contains the erroneous information. To be fair, this is particularly a Moodle issue; the majority of other forum systems I have used have allowed the poster to correct and amend their own messages at any time. Moodle is set up on a university wide basis, so even if this module (or any other encouraging student collaboration) wanted something different, it is likely to be quite tricky to change. Various of us tried to break this multi-step activity down; I did, but skipped a step and going backwards didn’t work. Others tried but instead of taking the original activity and starting from the top these attempts were also repeating the whole activity. Context & Goal: As a group, you need to decide on the context and the goal you want the technology to support. Shortlist: suggest items for the management team’s technology shortlist. Choose a technology: Each (see following lesson for discussion about terminology used in describing an activity) member of the group should choose a technology from the shortlist from point (2) and post the reasons for their choice (to the tutor group forum) here. At the end of the thread, nominate a group member to collate the suggestions from point (3) in doodle.com. Reviews: Review all the suggested technologies and why they are being suggested. Voting: (post the link to the Doodle vote here) Then each member of the group should vote for their preferred technology in doodle.com. Include a reason for your suggestion linked to the context and goal from point 1. Nominate a group member to collate the suggestions from point (2) in doodle.com. (post the link to the Doodle vote here) Then each member of the group should vote for their preferred technology in doodle.com. As I said, I have stopped working on this activity altogether, apart from the fact that the final selection the group has actually managed to make is one that I have already looked at in detail so feel no need to continue with it, I also have simply run out of time this week. The idea of collaborating on the 2nd part of the week’s activities, to produce a report, fills me with horror and so I will cut my losses and move on. I feel as though I am letting my fellow students down, that I am letting my tutor down but I don’t feel that I am letting myself down. Posted on February 27, 2014 March 29, 2016 Categories edtech, evaluation, MAODETags H817Leave a comment on Trying to choose and evaluate a specific technology – as a group!